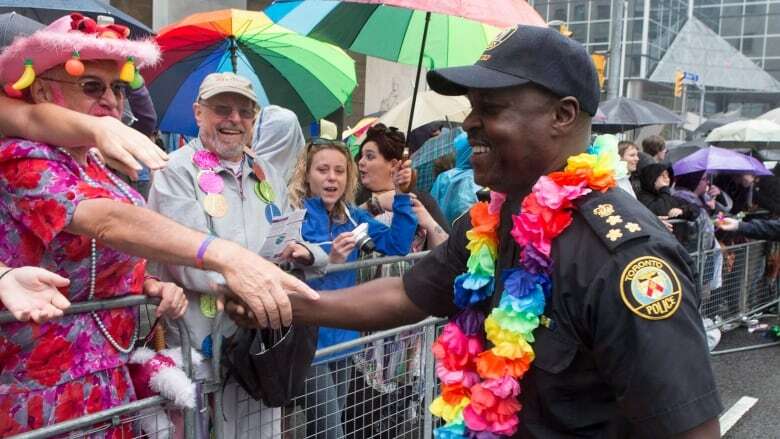 There is a move underway by several city councillors to have Pride Toronto denied city funding because of its decision to exclude the Toronto Police Service from this year's festivities, CBC News has learned. Coun. John Campbell (Ward 4, Etobicoke Centre) has drafted a motion, which he says he'll present at an upcoming council meeting, that asks city staff to withhold Pride's $260,000 grant "pending Pride's reaffirmation of its core value of inclusivity." The parade last summer was held up by a contingent from Black Lives Matter until Pride organizers agreed to a list of demands, including a promise to prevent uniformed police from participating in future. "Why is the city funding it, when they're using these tactics of exclusion against the police?" Campbell said Monday. Pride Toronto "got bullied into it by Black Lives Matter, and it was wrong." CBC Toronto was in touch with Pride Toronto several times on Monday but the group has so far not offered any comment on the councillor's motion. 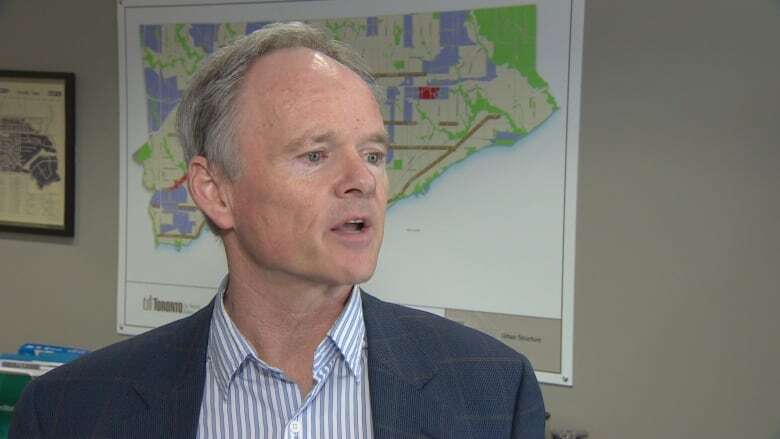 Campbell said he's had verbal expressions of support for his motion from seven other councillors: Mark Grimes, Justin Di Ciano, Glenn De Baeremaeker, Stephen Holyday and Jon Burnside, Michael Ford and Giorgio Mammoliti. But in an email Wednesday, Grimes denied he supports Campbell's motion. He said he agrees that the police should be included in the Pride parade, but doesn't believe the group's funding should be pulled if police are excluded. Burnside, who represents Ward 26, Don Valley West, was a police officer from 1991 to 2001. He told CBC Toronto he has participated in the Pride parade several times as a police officer and later as a politician. "If Pride wants to exclude the police, it's absolutely their business," he said Monday. "But part of my job is to decide on funding, and I think that [the ban on police] not only sends the wrong message, it's counter-productive." Campbell said he'll present his motion when Pride's funding request gets to council, likely in April or May. But councillors Kristyn Wong-Tam and Shelley Carroll both said they will continue to support Pride and its funding. Campbell's motion is just the latest in the series of successive annual attempts for a councillor to find a way to cut funding for Pride, Wong-Tam said. The reasons change, but the underlying sentiment persists, she said. "I don't think it's in the place of a city councillor to say that off-handedly," she said of the move to cut Pride's funding. "It's not unusual for us to hear a councillor who has not shown, necessarily, really a lot of support for Pride in the past to now raise the threat of defunding Pride again." Carroll, meanwhile, said Campbell will only harm the relationships the city's police services board, on which she serves, has been building with Pride Toronto and Black Lives Matter Toronto. "To bring this motion forward with none of those connections means he has no insight into the conversations that are ongoing and it's a destructive motion," she said. "To me, this motion is only about getting attention." The decision to exclude uniformed police was reaffirmed at Pride's annual general meeting in January. Aside from the cash grant, the annual parade, which draws hundreds of thousands of people, also benefits from in-kind donations from several city departments, including the Toronto Police Service, whose officers donate over $500,000 worth of security for the parade. Campbell's motion asks that "the city manager direct the director of economic development to withhold the distribution of $260,000 in City of Toronto funding for the Pride Parade pending a) a review of city policies to ascertain whether the Pride organization is in contravention of these policies which may deem the funding ineligible and b) Pride's reaffirmation of its core value of inclusivity." It's unclear whether police would continue to volunteer their services or if they would charge the organization for security during the celebration. 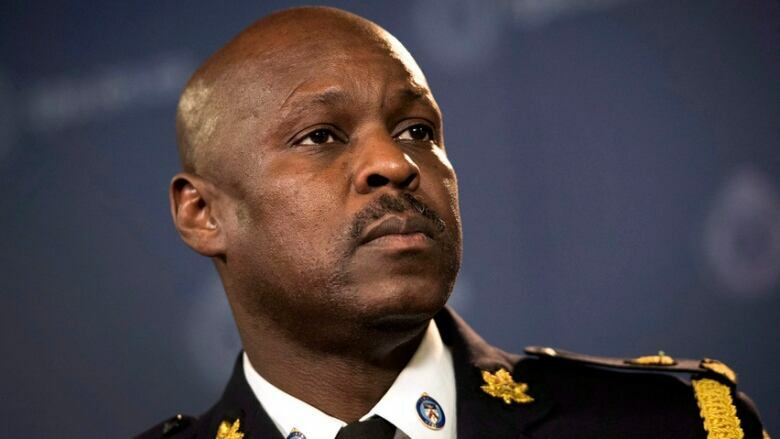 Toronto police Chief Mark Saunders wouldn't provide a direct answer. He said that he's "staying neutral" throughout and noted that no one has given him an operational plan and he wouldn't comment on a "hypothetical" scenario. Instead, he said he's spoken with Pride Toronto's executive director and things are "moving in the right direction" with the relationship between police and the LGBT community. Last year, it cost about $4.3 million to stage Pride, according to the organization's website. It had revenues of about $4.4 million, of which $800,000 was in the form of government grants. The city provides $260,000. Pride Festival weekend is scheduled to run this year from June 23-25.